A new class of redstone designed to make life easier for those who do redstone systems. Redstone Paste 1.7.2 and 1.7.10 is a mod that allows us to greatly simplify our redstone systems for several reasons, one of them is that we can place it on walls and ceilings. Apart of this example, with this new redstone added for the mod, within the same block you can make crosses with four directions, and without it we would need four blocks surface. 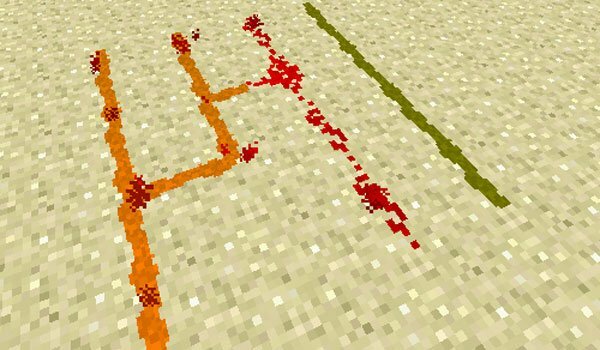 Furthermore, this new kind of redstone can join without porblems not like the normal redstone in the game, so we can join the two lines, since the signal circulate smoothly. How to install Redstone Paste Mod for Minecraft 1.7.2 and 1.7.10? 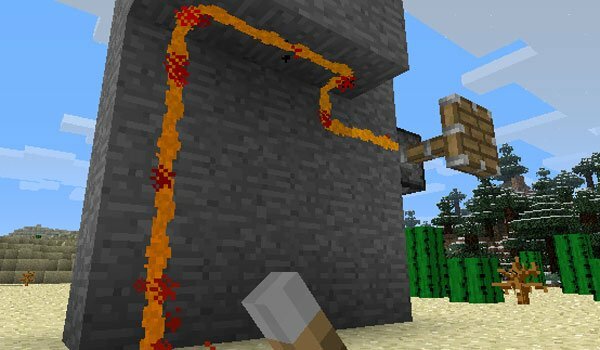 New type of redstone to improve your Minecraft systems!